The semi-automatic load / unload, has two motion axis soldering characteristics controlled workstations. TB-SL-3000 supply hand-free product handling in the clean working environment for the high quality electronic assembly production industry. The attached gas chamber provides the perfect mix of Nitrogen and Hydrogen with a supply of required Oxygen to establish controlled solder clean working area. 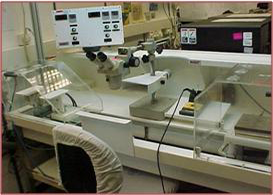 The controlled TB-SL-3000 consists of a temperature controller for both Holding and Clamping Plates to accompany almost any micro-electronic type production module without the need for the use of dedicated fixtures. It can be accomplished with the use of a vacuum system driving clean sucking air through a hole located in the center of the holding plate.